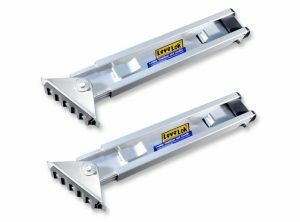 Leg Levelers are one of the most important ladder accessories to improve safety on uneven terrain. 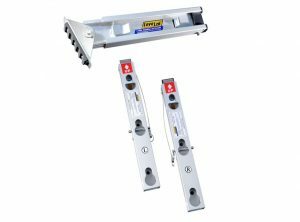 We offer the leading industry leg levelers designed for a variety of ladder applications. 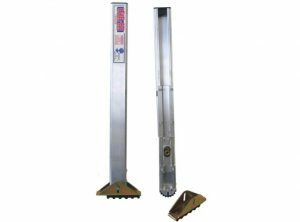 Kit Contents: 2 Leveler Legs, 2 Swivel Feet, 1 aluminum rod (24″), safety labels, installation instructions and installation hardware. 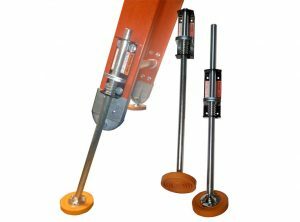 The EZE1000-2 can be used with or without the Swivel Feet which are included in the Kit.